Lola: Diary of a Rescued Cat is the witty and sincere rags-to-riches story of a young cat abandoned in a garbage dumpster. 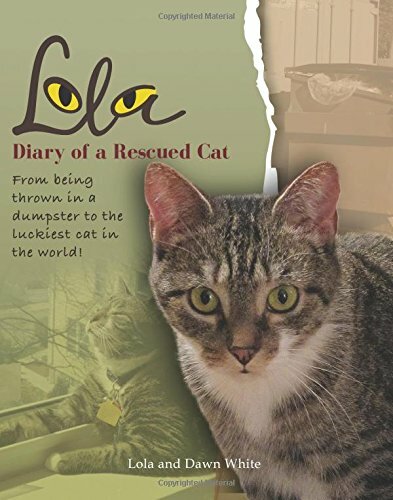 It chronicles Lola's life beginning with her rescue from the dumpster and continues on to her stay in the shelter system (where she became very ill), her rescue from the shelter, adjustment to her forever family and new feline sibling after being adopted, and, ultimately, her recovery. It is written in the form of her diary, with each entry dated, and includes many beautiful photos. Included in the book are many heartfelt stories of other rescued pets. 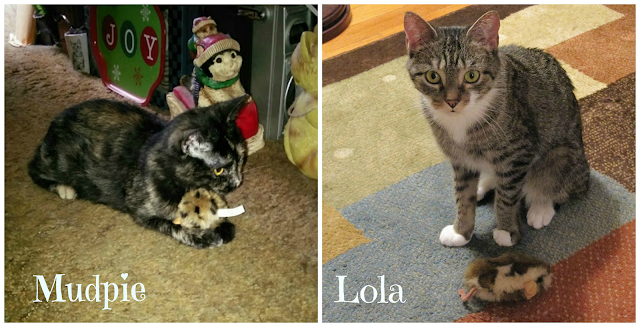 Lola: Diary of a Rescued Cat will make you laugh, cry, and laugh again. Over the past year I've fallen in love with Lola (and her sister Lexy) on their wonderful blog and Facebook page, but after reading this book, I *adore* Lola. Lola and Lexy's mom Dawn is one of the sweetest cat ladies I know. Forced to do the unimaginable and give up her beloved cat Marvin due to life circumstances, she was cat-less for 16 years. (My mother went nearly that long without a cat at one point in her life...I don't recommend it!) Then one day she spotted Lexy, who reminded her of Marvin, and it was love at first sight. Lexy had been waiting to be adopted for almost a year because she was "too old" at nearly 2. I've always chosen adult cats and sadly have heard that exact same thing many times. Dawn and Lexy were clearly meant to find each other. Then came Lola. Dawn saw her on a Facebook page after she had been rescued from a dumpster. Think about that for a minute: that precious, perfect little angel had been thrown in a dumpster. It makes my heart hurt just to even think about it. Thankfully Lola had a team of guardian angels and before long she joined Dawn and Lexy's little family. "Trash to treasure" has never had a greater meaning. 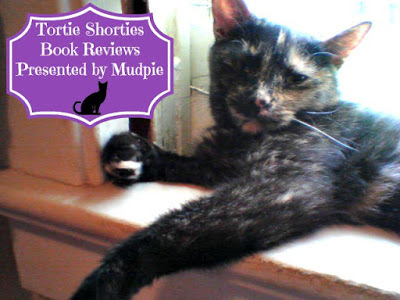 Lola: Diary of a Rescued Cat is exactly that: Lola's diary. From those frightening early days to getting very sick in the shelter system to being rescued and moving into her forever home, every page is sprinkled with Lola's sweet innocence and mischievous, playful personality. March 2, 2011: Stop the presses! I'm putting out an All-Points Bulletin on my mousie! It is nowhere to be found! Mommy looked, and Will even looked with a flashlight. No luck. Will bought me a new one, but it's not the same because this is the first toy I ever really had. If you happen to see my mousie, please hold it for me so I can come pick it up? Thank you. May 19, 2011: I'm starting a trend on Facebook. Cats are buying brown mousies just like mine! I think a big company should make "The Lola Brown Mousie" since I'm doing a lot of promotion. By the way, he's lost - again. Little did I know that shortly after I finished reading Lola's book, Mudpie received a nearly identical brown mousie in her Purr Pack. Just like Lola, it's her favorite toy. She carries it around the house, throws it up in the air, and cries for it when she can't find it...because just like Lola, she's always losing it! It's my hope that everyone who reads this book is inspired to do something, anything, to help animals in need. Whether it's donating to a worthy cause, volunteering at a shelter, sharing adoptable cats and dogs on social media, or adopting a new pet into your family, especially an older or special needs animal who might be having a harder time finding a home: we can all do something to help. Another suggestion: buy a copy of Lola's book! 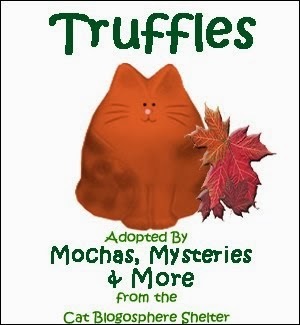 Ten Percent of the proceeds from the sales of the book will be donated to animal rescue organizations and shelters. Enter by using the Rafflecopter widget below. Good luck! Our cat doesn't really like to play with toys - but set a spider in her area and she is a hunting machine. Dat's weally cool. Gweat review. Weez sure hope we win. That sure looks like a wonderful book. We love to read about rescued cats since all 23 of us are rescued. What a cute mug. We will save our money for the book. Have a great week end. We love Lola and Lexy and would love to win this book for the mom. Wally's favorite toy is his nip tomato. It looks terrible after years of use, but he still loves it. Great giveaway! I would love to win Lola's book. My cats don't have many toys, because of the dogs, but my son's cat has this toy and loves it. Great photo of Mudpie and her mousie! We are rescue cats too from a house who hoarded over a hundred of us there - that goodness for the RSPCA who rescued us all. 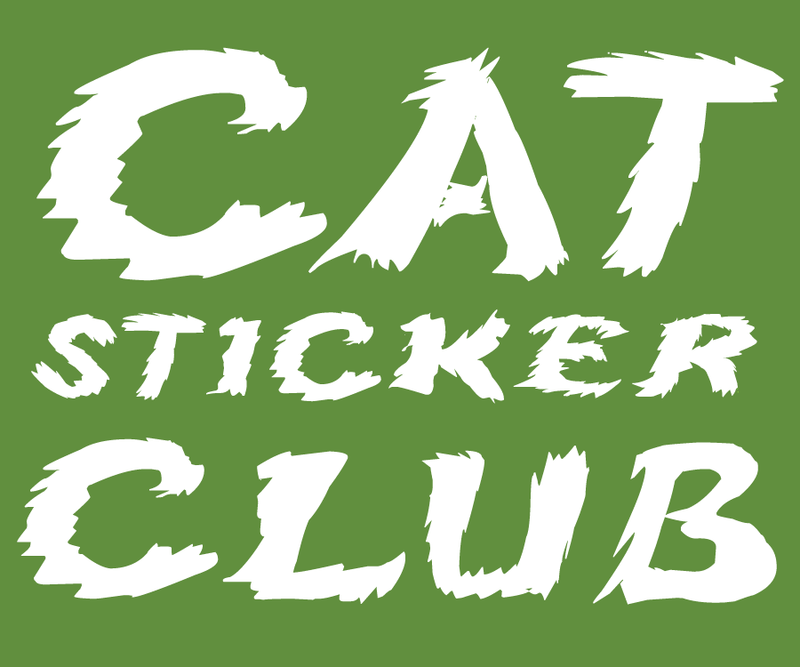 I like cats but because of allergies I don't own one. My new boy loves his beanie baby cat. He carries it around, and throws it up in the air all the time. If he can't find it he meows and walks around until he finds it. He's not so big on mice. He also loves real live bugs, the hunt and chase is his fun time. Thanks for the giveaway. This sounds like a great book, and inspiration for all of us who are cat lovers to do what we can for abandoned or neglected fur babies of all kinds. Thank you for the opportunity to win, Mudpie & Melissa! Oopsie, read the Rafflecopter question after responding! One of my cats has never gotten tired of the little laser pointer! We have had several over the years, the current one not in a box where she can hear us get it out...but all the babies love it as she did. 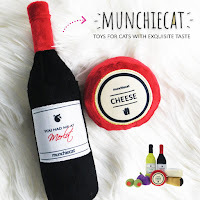 One of our girls loved the Kong furry squeaky toys; now our youngest boy enjoys them, but has a couple favorite mousies from when we first were able to catch and adopt him. I have a few. One is a nip peppermint stick from Cat Claws that cost a penny and there’s my Skinneezz mouce. YumYum occasionally plays with a catnip toy, but Lucy prefers to catch flies. Mudpie and Miss Melissa,thank you so much for such a wonderful review! I'm so humbled. We love you guys, too, and we're so glad we became friends this past year! I must say, Mudpie, that you have the BEST taste in toys!! Smooches and purrs to you both! I went 5 years without a cat. I got allergic when I was pregnant with my first son, so after my kitty George died (16 years he was my baby) the man said it wasn't worth it. Little did he know! It's my face, it can itch and sneeze all I want it too! Anyway I just got an adorable calico kitty named Mazy. She is the sweetest thing, but doesn't bother with any of the toys I got her. Apparently I haven't found her little brown mouse yet. Maybe that is exactly what I'll get her next! I just found your blog. As a first time visitor I want to thank you for encouraging others to rescue cats. 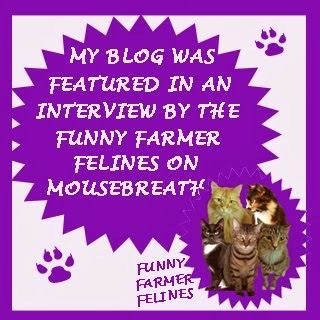 Your blog is beautiful and I am very much enjoying visiting with the cats. 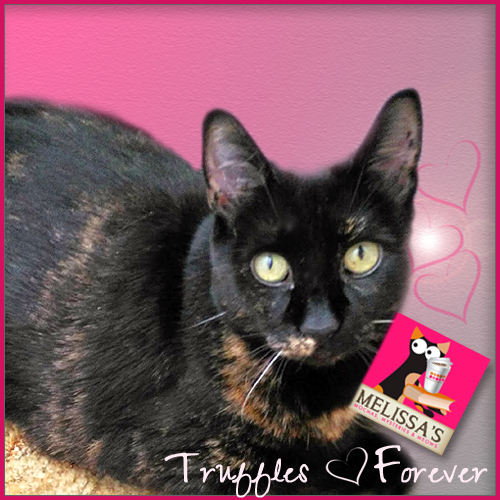 I am so sorry for the loss of your beloved Truffles. Your Mudpie is a real beauty. We have a tortie as well. Her name is Juliette. Her favorite toy is a wand with an elastic string with a catnip mouse attached. She goes bonkers chasing it. 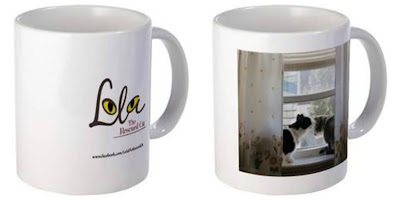 I would absolutely love to read, Lola's story and drink my tea from the beautiful , Lola mug. 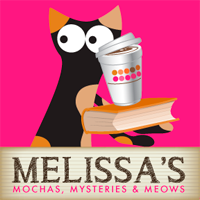 Thank you for the wonderfully fun blog, Mudpie and Melissa ! My cat has a thing we call a mousebird. It's purple, has a beak and a long tail. Yes, absolutely! My Dolce (3 y.o) loves her squirrel wand! She plays with it often and drags it with her wherever she goes! Including in my/her bed, which has definitely startled me in the middle of the night, waking up to a furry squirrel on my toes lol! My Adrina (7 y.o.) loves her fluffy octopus - it has feathers, felt, suede, bells, and more. She leaves in different rooms, but when she brings it to you or leaves it like by my bed, it means she loves me and is like bringing me a present. However, when she takes it away, you know you're in trouble lol. My cat loves her stuffed mouse. She plays with it everyday and even sleeps with it.